Jersey All Pro Wrestling would like to thank the fans who came out to Rahway, NJ to see Redemption. 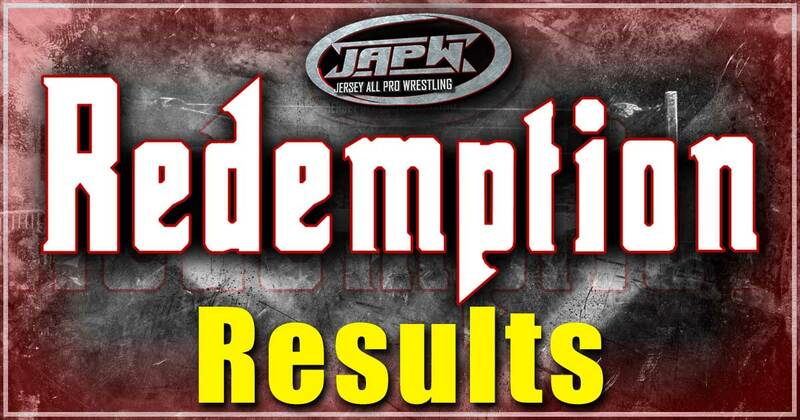 JAPW Redemption Update: Homicide vs Callihan, and more! 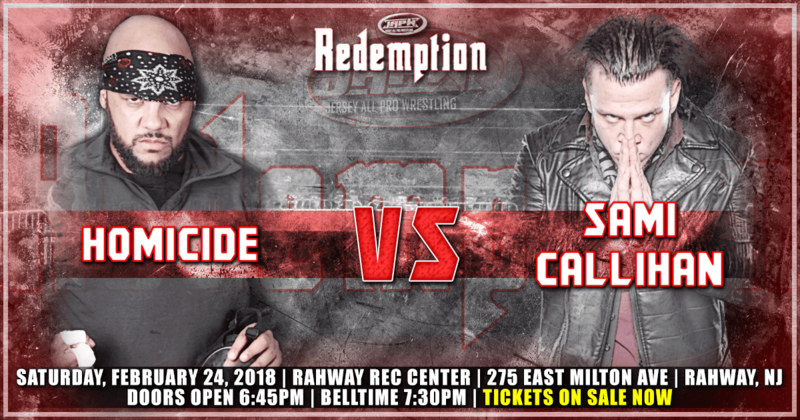 At Redemption, the “Notorious 187” Homicide will face the returning Sami Callihan on Saturday, February 24th in Rahway, NJ! Also announced that Deonna Purrazzo, Ruby Raze, Maria Manic, and Jessie Brooks will face off against one another in a 4-Way match for the #1 Contender spot for the JAPW Women’s Championship which is currently held by LuFisto. International star, Jigsaw, is set to make his Jersey All Pro Wrestling debut at Redemption. – The Return of Da Hit Squad! – JAPW Heavyweight Champion, Blk Jeez! – JAPW Light Heavyweight Champion, Archadia! – #1 Contender to the JAPW Light Heavyweight Championship, Anthony Bennett! – “The Green Machine” Mike Orlando! – 2 Hot Steve Scott! – International star, Jigsaw debuts! Tickets for Redemption can be purchased at www.shopjapw.com and at the door on February 24th. — 1st Row Ringside is SOLD OUT, 2nd Row Ringside $30, and General Admission $20. If you plan on sitting ringside, we recommend you purchase your tickets prior to the show date online to guarantee your seat(s).